...represent a significant hazard for space and terrestrial assets; at the same time asteroids represent also an opportunity. In recent years it has become clear that the increasing population of space debris could lead to catastrophic consequences in the near term. 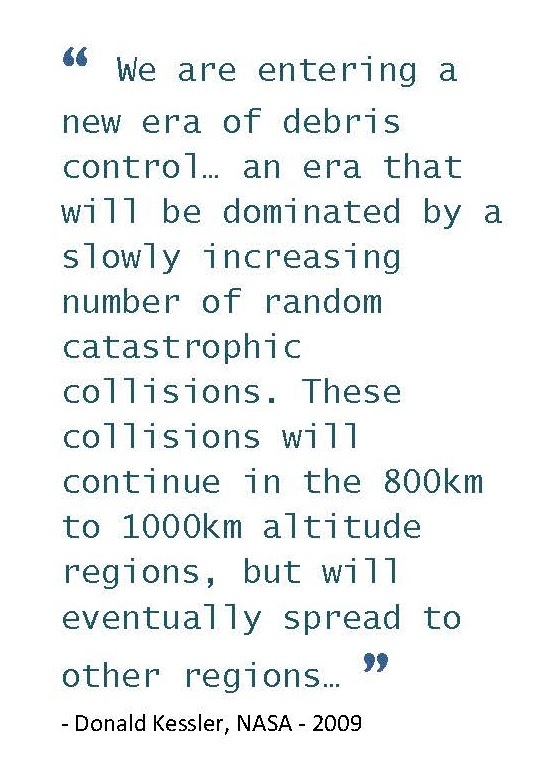 The Kessler syndrome (where the density of objects in orbit is high enough that collisions could set off a cascade) is more realistic than when it was first proposed in 1978. While statistically less likely to occur, an asteroid impact would have devastating consequences for our planet. An impact with a large (~10 km) to medium (~300 m) sized, or diameter, asteroid, although unlikely, still is not negligible as the recent case of the asteroid Apophis has demonstrated. Furthermore impacts with smaller size objects, between 10 m to 100 m diameter, are expected to occur more frequently and hence are, proportionally, equally dangerous for humans and assets on Earth and in space. Asteroids and space debris share a number of commonalities: both are uncontrolled objects whose orbit is deeply affected by a number of perturbations, both have an irregular shape and an uncertain attitude motion, both are made of inhomogeneous materials that can respond unexpectedly to a deflection action, for both, accurate orbit determination is required, both need to be removed before they impact with something valuable for us. 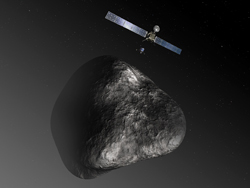 The desirable life cycle for both asteroids and space debris demonstrates that a number of underpinning technologies needs to be developed to mitigate the risk posed by both types of objects: observation, orbit determination, state estimation techniques are required to discover, identify, track and monitor both debris and asteroids. Impact prediction is required to inform decision makers and derive actions and requirements. Some form of manipulation, removal or deflection technologies/ strategies need to be developed and implemented and finally one can think of exploiting asteroids and needs to think of the consequences of disposing space debris (like the re-entry of large objects). The observation, manipulation and disposal of space debris represent one of the most challenging goals for modern space technology. 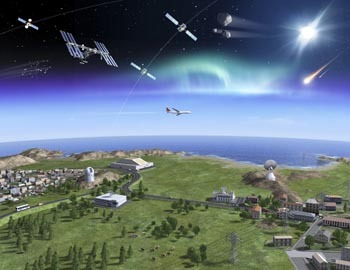 It represents a key scientific and commercial venture for the future in order to protect the space environment for essential telecommunication, navigation and Earth observation services. Such a significant multidisciplinary technical challenge, with real societal benefit for the future, represents a compelling topic for a training network. This network will require training in a diverse range of fields from ground based optical and radar observation, robotic intervention and advanced propulsion technologies. The network researchers will therefore receive a uniquely broad and interdisciplinary training, in addition to acquiring specialist skills. Interesting enough the communities dealing with asteroids and space debris already intersects and many scholars in this ITN work proficiently in both areas. The Scientific Program is divided into 3 major research areas: Modelling and Simulation, Orbit and Attitude Estimation and Prediction, and Active Removal/Deflection of Non-cooperative Targets.